By 6 p.m. Saturday, it’s very possible that the fans at the Armory on hand for the NYRR Millrose Games will have seen two American records and a world record. That’s how good the talent at the top is in the 112th edition of the jewel of the US indoor circuit, with Donavan Brazier (men’s 800), Ajee’ Wilson (women’s 800), and Yomif Kejelcha (men’s mile) all chasing records. Don’t just take our word for it. No less an authority than the Nike Oregon Project itself has announced that Kejelcha will be specifically targeting Hicham El Guerrouj‘s 3:48.45 world record. 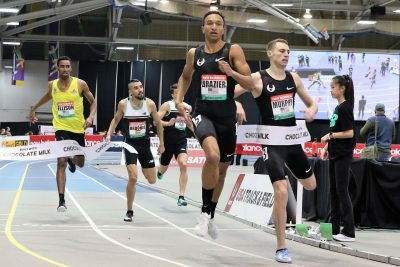 LetsRun.com is giving Millrose the blowout coverage it deserves. We already shared some thoughts earlier this week in the LetsRun.com Track Talk Podcast (click here to listen and subscribe in iTunes or Stitcher), and we’ll have full on-site coverage of Friday’s press conference and the meet itself on Saturday evening. But we also know that you come to LetsRun.com for in-depth analysis of the world’s biggest races, and that’s what this article will provide. We break down the record chances of Brazier and Wilson and take a look at some of the other races on tap (Katelyn Tuohy in the high school mile, Konstanze Klosterhalfen vs. defending champ Colleen Quigley in the women’s mile). As for the storied Wanamaker Mile, which features Clayton Murphy, Edward Cheserek, and Nick Willis in addition to Kejelcha? That event is so good that we’ve written a separate article solely dedicated to the mile and Kejelcha’s world record chances here. How to watch: Live on NBC from 4:30 to 6:00 p.m. 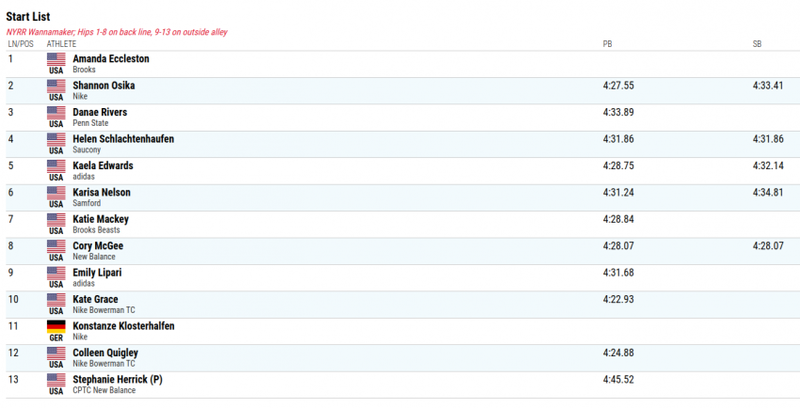 ET (earlier events streamed on USATF.TV+, which requires a subscription). NBC Sports Gold will also stream the meet from 4:00 to 6:00 p.m. ET. Below, we preview the top distance races in chronological order. Men’s 800 (4:31 p.m. ET): Will Johnny Gray’s American record finally fall? On March 8, 1992 — just over five years before Donavan Brazier was born — Johnny Gray ran 1:45.00 to set the American indoor 800-meter race in Sindelfingen, Germany. The fact that Gray’s record has stood almost 27 years is impressive, but the craziest thing about it might just be that, compared to the rest of Gray’s accomplishments, it’s not that crazy at all. This is a guy who made four Olympic 800 finals — including one at age 36 — and a guy who ran 1:45 at age 39. His American outdoor record of 1:42.60 is almost seven years older than his American indoor record. Johnny Gray was incredible. But Saturday may finally be the day his indoor record falls. Over the last two years, Brazier has been throwing haymakers at Gray’s 1:45.00 but has yet to deliver the knockout blow. 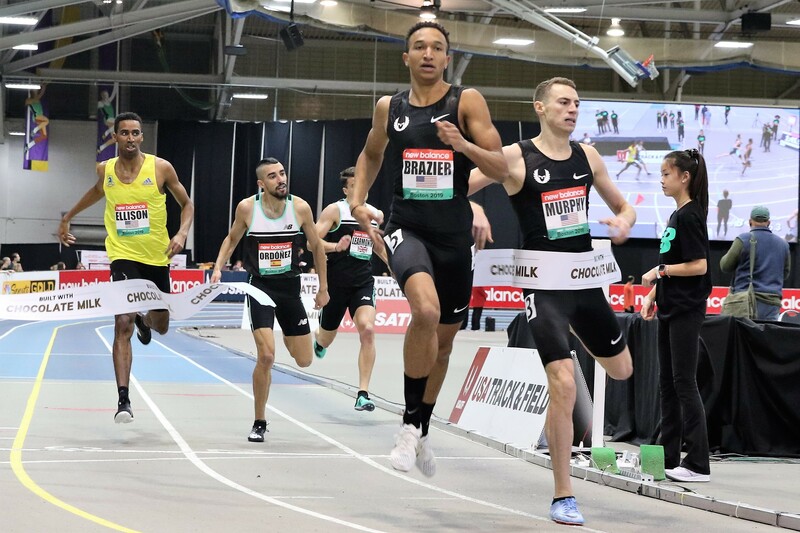 It began with this very race at Millrose last year, where he blitzed a 1:45.35 to finish second behind Emmanuel Korir, and continued with wins in Boston (1:45.11) and USAs (1:45.10). Two weeks ago, he ran 1:45.91, which means Brazier has run 1:45 in his last four indoor 800 finals. Jumping almost a full second in an 800 is tough, but Brazier can do it. 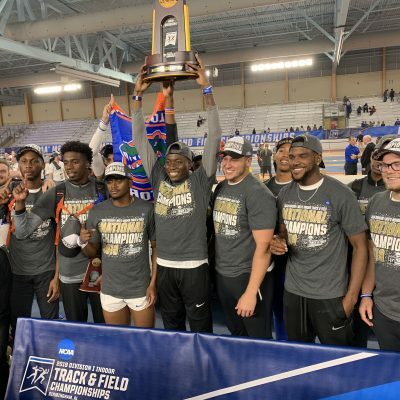 Remember, Brazier only began running track workouts in the first week of January after recovering from an Achilles injury last fall. If he can go from not running on a track at all to 1:45.91 in three weeks, think what he could do with an extra two weeks of training. Brazier’s strategy for this race should be the same one he used when he ran 1:45.35 here last year: get out hard behind the rabbit (it’s Russell Dinkins, the same as last year) and just hope that you’re a little stronger than in 2018, when Korir pulled away from him on the last lap. 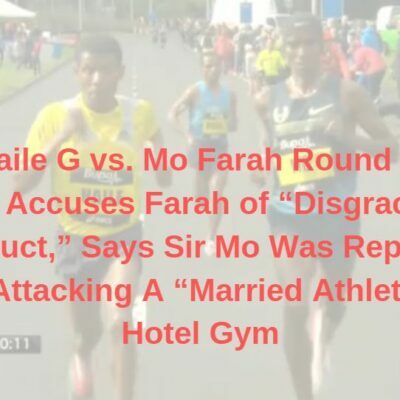 The one complicating factor is Michael Saruni. The 2018 NCAA champ from UTEP and Korir’s training partner, Saruni has run almost as fast as Brazier indoors (1:45.15) and could play spoiler. Saruni hasn’t raced this year, so we don’t know what kind of shape he’s in. 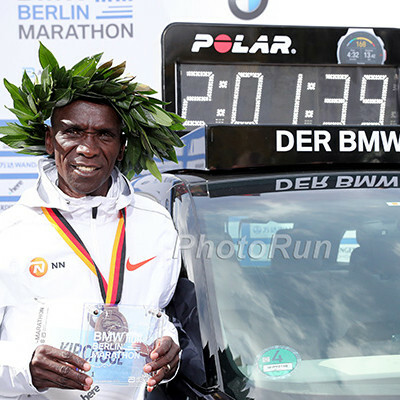 Our advice to Brazier: if Saruni wants to go out really hard and take the lead, let him. Then just sit on him and wait to make your winning move. And if Saruni doesn’t take the lead, try not to worry about him; if you’re running 1:44 from the front, you’re probably going to beat everyone anyway. Drew Windle is also entered, and he had a terrific 2018 indoor season, running 1:45.52 here and earning silver at World Indoors. 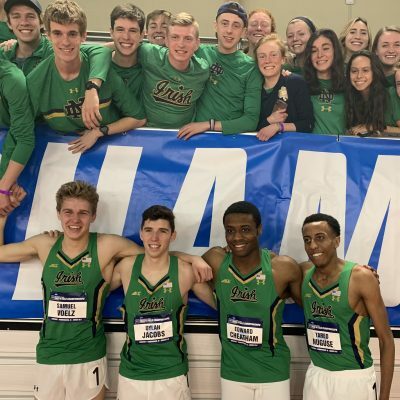 His 2019 opener was rough — overmatched in a mile in Seattle, he could manage just 4:17 — but his coach Danny Mackey told LetsRun workouts have gone well since then. If Brazier is going for the AR, however, that may prove too much for Windle. LRC prediction: Brazier wins and Johnny Gray’s AR finally falls after almost 27 years. Will Donavan Brazier break the American indoor 800 record (1:45.00) at Millrose? This race was a thriller last year, with Aisha Praught-Leer outkicking training partners Emma Coburn and Dominique Scott to win in 8:41. Both Praught-Leer and Coburn are back in 2019 and should be among the favorites, but they’ll have competition in the form of NCAA mile champion Elle Purrier, now a New Balance pro, who ran an impressive mile pb of 4:24 to finish second at the New Balance Indoor Grand Prix in Boston two weeks ago. Rachel Schneider, who was 4th at USAs in the 1500 and 2nd in the 5k last year, should be perfectly suited to this distance and will be dropping down after a 12th-place finish at USA XC last weekend. Collegians Alicia Monson (Wisconsin), Weini Kelati (New Mexico), and Sharon Lokedi (Kansas) are all entered as well. LRC prediction: Purrier looked great two weeks ago, so we’ll pick her for the win, but this should be a great race with several women in the hunt late. The men’s 3k is headlined by a couple of Australian stars, with 2016 NCAA XC champ Pat Tiernan taking on 2018 NCAA XC champ Morgan McDonald of Wisconsin. Tiernan, who will run at next month’s World XC champs in Denmark, has already shown to be in good form this year after running 61:22 at the Houston Half and 7:48 for 3k on a flat track last week at Camel City. McDonald has yet to race this season indoors, but his PRs (3:55/13:15) say that he’ll be a major factor in this race. The onus will be on the strength-oriented Tiernan to push the pace, as there are several big kickers lurking in this field. 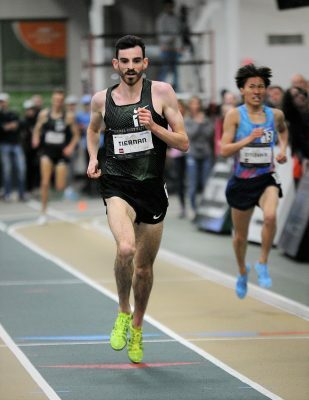 Ben Flanagan, whose kick powered him to the NCAA 10k title in June, ran 7:48 FTW in his last trip to New York two weeks ago at the Dr. Sander Invite. Stanford’s Grant Fisher — who, like McDonald, hasn’t raced this year apart from a DMR leg — is another guy who you don’t want on your shoulder on the final turn. If you’re counting at home, that’s four guys who have won NCAA titles within the last 27 months. LRC prediction: Tiernan has been running great this year, and has the best PRs in the field (7:37 outdoors, 7:48 indoors, 13:13 outdoor 5k). He’s our pick. Girls’ high school mile (5:05 p.m. ET): How close can Katelyn Tuohy get to 4:30? 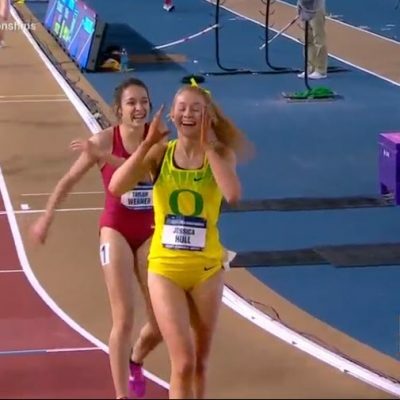 One year ago, Katelyn Tuohy finished fourth in this race in 4:47. She has not lost to another high schooler since. After winning a second consecutive NXN title in December and breaking Mary Cain‘s national 3,000m record with her 9:01 at the Armory two weeks ago, Tuohy is the obvious favorite, and her 4:33 outdoor mile PR (#3 all-time among high schoolers) is way faster than anyone else in the field. 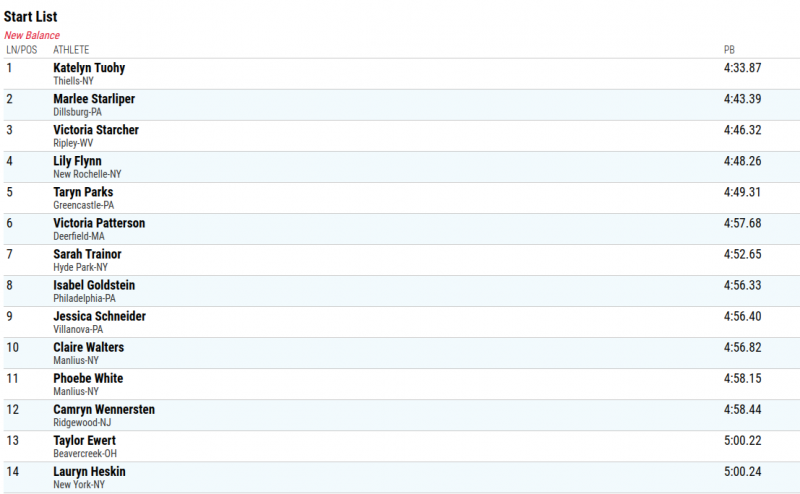 Tuohy told LetsRun that she’s not focused on any particular time at Millrose, which is probably a good thing. For one, 4:33 is already very fast, so if Tuohy can even get close to her PR in this race, that will go down as an impressive run. Only two high schoolers have ever broken 4:30: Mary Cain and Alexa Efraimson, and both of those women were pure milers; Tuohy is not. For another, simply securing the win should be more important given how last year’s race turned out. 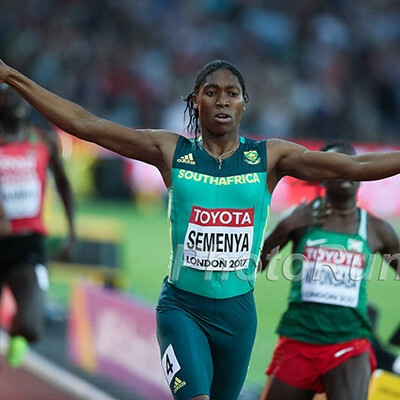 In 2018, she went out hard with the intention of breaking 4:40, but could not hang on and faded badly during the second half (splits of 2:19/2:28). If someone is to upset Tuohy, keep an eye on Marlee Starliper of Pennsylvania, who ran 4:43 indoors last year and beat Tuohy in this race in 2018. LRC prediction: Tuohy wins but doesn’t break 4:35. 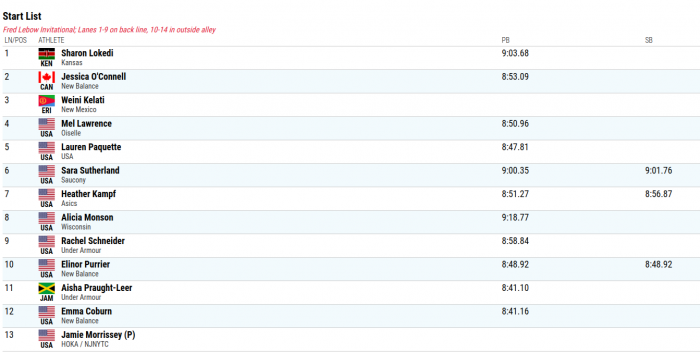 Last year, Bowerman Track Club teammates Colleen Quigley and Kate Grace went 1-2 in this race. Both women return this year, and they’ll face some stiff competition in Germany’s Konstanze Klosterhalfen. Klosterhalfen is a member of the Nike Oregon Project in everything but name, so we feel quite all right about hyping this up as an NOP vs. Bowerman showdown. Klosterhalfen heads in with the advantage. 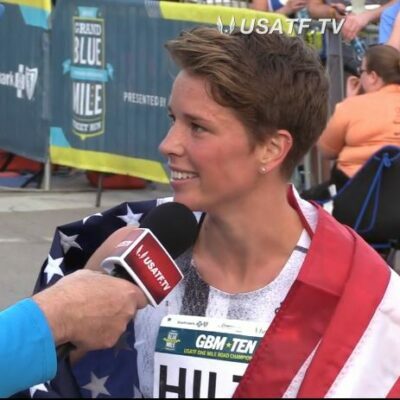 She’s already raced three times this year, with a 2:43/4:29 1k/mile double on January 12 and a dominant 18-second win over Jenny Simpson in the 5k in Boston on January 26. She also owns the fastest PR in the field at 3:58, and given her prowess at longer distances (she’s also run 8:29 for 3k and 14:51 for 5k), her best bet may simply be to force a pace that Quigley and Grace can’t match. That is easier said than done, however. Quigley won this race last year for a reason — she’s a strong miler — and Grace should be more comfortable in Year 2 under Jerry Schumacher than she was last year. She’s also got enviable mile chops, running 4:20 outdoors last year and 4:22 at Millrose in 2017 (second only to the great Sifan Hassan). Neither Quigley nor Grace has raced this season, so we don’t know where their fitness is at. But Schumacher wouldn’t have them fly across the country to race the Wanamaker Mile unless he thought they were fit, so we expect them to run well. Collegian Danae Rivers of Penn State is also in the field, and while we don’t expect her to win, she could run fast as she’s already broken the NCAA 1k record this year, running 2:38 on January 12. LRC prediction: Klosterhalfen has been running well and has the best PRs, so we’ll go with her FTW. If she’s beaten, we’ll go out on a limb and say that Grace is the winner, not Quigley. Who will win the 2019 women's Wanamaker Mile? 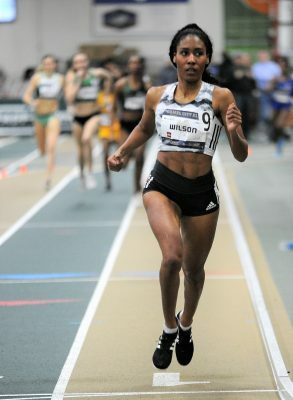 It’s kind of crazy that Ajee’ Wilson doesn’t have the American indoor 800 record yet. Everyone thought Wilson broke it two years ago by running 1:58.27 at Millrose, only for Wilson to flunk her post-race drug test (she blamed the result on tainted meat, and while she did not have to serve a ban her time in that race did not count). She didn’t race again indoors that season and did not make an all-out record attempt last year, choosing to run the 4×800 at Millrose instead (where she split 1:58.37). Finally, the stage appears to be set for Wilson to erase Nicole Teter‘s 1:58.71 from the books, which dates back to 2002. Wilson, who already owns the outdoor AR at 1:55.61, ran a 200m flat track WR of 1:59.26 last week at Camel City. Put her on a banked track with a roaring Armory crowd and she has a great chance to take down Teter’s record. Raevyn Rogers was Wilson’s top domestic rival last year, but considering she’s never beaten Wilson (she lost by almost four seconds at Camel City last week), we don’t see her winning on Saturday. Ce’Aira Brown won her season opener last weekend (2:39 1k) but has yet to show she’s on Wilson’s level. The woman with the best chance to challenge Wilson is Jamaica’s Natoya Goule, who has run 1:26 and 2:37 for 600 and 1k this year and clocked 1:56.15 outdoors in 2018. She was still just 1-7 last year against Wilson, but that’s still more wins than the rest of this field combined managed against Wilson last year. LRC prediction: Wilson wins and takes down the AR. Will Ajee' Wilson break the American indoor 800 record (1:58.71) at Millrose? More: Will Yomif Kejelcha Break the Mile World Record at the 2019 Millrose Games? We Break Down His Chances Are you ready for a WR in the men’s mile? You probably should be.